Hi Lovelies! We’re talking about two wedding trends we think you’re going to love and sharing Louise’s beautiful moodboard and concept for her upcoming The Art of Styling Workshop. This incorporates both of these trends so beautifully – the Minimalist wedding style, and the Muted colours trends. We’re really excited about these two elements as they work well with a variety of wedding styles and have a contemporary edge. We’re calling it that you’re going to be seeing a lot more Minimalist inspired editorials gracing the most stylish wedding blogs and magazines, as well as the Muted Colour Tones. In Louise’s design for the latest The Art of Styling workshop at our lovely studio, The B.LOVED Hive in London, we see a palette of cooler pastel shades. Hints of blue and turquoise with shades of pink and peach, with a key background of white and grey. Hints of foliage add the perfect amount of lush green to balance everything out so that it isn’t too cold. Because we love mixing pretty with creative and modern weddings styles Louise has used some great textures here too with concrete. Perhaps your wedding venue is a Industrial Chic space with concrete floor, or you can introduce concrete with votives and planters within your table settings. These colour dipped concrete votives by Urban Outfitters are perfect! 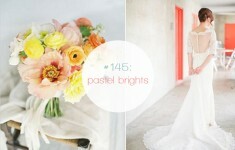 Below you can find our roundup of great features that include Muted Colour Trends and the Minimalist Wedding Style too. 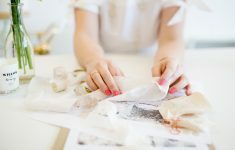 Whilst Louise’s The Art of Styling Workshop is SOLD OUT you can find out more about The B.LOVED Hive and future workshops here. This Tropical Destination Wedding on Oncewed by Chantel Marie is set in a super chic Hacienda in Mexico and the architecture really sets the scene well for this more modern wedding style. The sleek Halston Heritage wedding dress too is a must see! The Tokyo Dawn styled shoot here on B.LOVED by Rae Tashman Photography and I Do Events, has been SO popular and is absolutely perfect inspiration. The floral design is really creative and minimalist and the colour scheme is kept to white with green and grey blue. Everything is a must see! 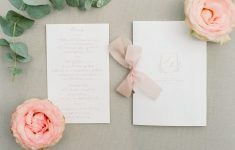 Have a Blush Pink Wedding the Modern Way with Oncewed! You’ll love this shoot by fine art photographer Sally Pinera and styled by Gossamer. 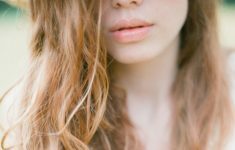 The prettiest shades of blush with a Bridal look that is contemprary and edgy but in the prettiest way. We’re talking a beautiful blush pink wedding gown from Gossamer with statement pink bauble earrings. Don’t miss this one! Don’t miss this Industrial Elopement by Sophia Veres Photography here on B.LOVED. Set in a beautiful industrial luxe setting with lots of light and and a palette of soft turquoise and blue, with grey and pops of lemon. The venue has to be seen and the stylish table setting! 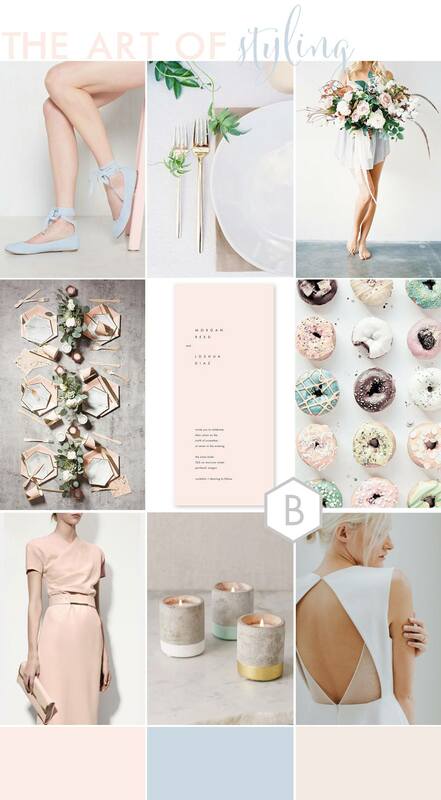 Take a look at our moodboard and concept Muted Blush: When Minimalist Meets Romantic, where we talk about how you can really mix beautiful romantic wedding elements with the muted blush colour tones we’ve been loving – oh and a hint of minimalist design too. BLOVED Blog's first wedding moodboard of 2017 designed by Emma of Goose + Berry Weddings!